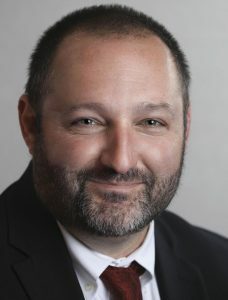 NAUGATUCK — The Board of Education last week approved a three-year contract extension for Assistant Superintendent of Schools Christopher Montini. “The board feels that Chris is doing an exceptional job and has the utmost faith in his abilities as an administrator,” Board of Education Chairman Dorothy Neth-Kunin said. The contract is retroactive to July and runs through June 30, 2021. According to the contract, Montini’s salary will be $161,465 this fiscal year and increase 10.25 percent over the life of the contract to $178,017 in the third year. Under the contract, the board will pay an amount equal to 4 percent of Montini’s salary into a tax-sheltered annuity this fiscal year. The amount increases to 4.5 percent in the second year and 5 percent in the third year of the deal. Under the contract, Montini will pay 21 percent of the premium cost for health insurance and the board will pay the remaining 79 percent. In the event Montini waives coverage, he will receive a $4,000 yearly stipend, according to the contract. The contract also grants Montini a $1,700 travel stipend for costs associated with using his own vehicle on district business. Montini began teaching in the Naugatuck school system 17 years ago at Prospect Street Elementary School. He previously spent a year teaching in Bridgeport Public Schools. Montini also taught at Cross Street Intermediate School before becoming assistant principal at Hop Brook School. He spent seven years as principal at Cross Street Intermediate School before becoming assistant superintendent in 2013. His role entails overseeing curriculum, facilities management, work on the budget, grant writing, and teacher and administrator evaluation, among other responsibilities. Neth-Kunin said the board is happy with Montini’s performance. “The board is extremely pleased with the direction the district is going in. Chris is a great asset to the district,” Neth-Kunin said. A message left with Montini seeking comment wasn’t returned.